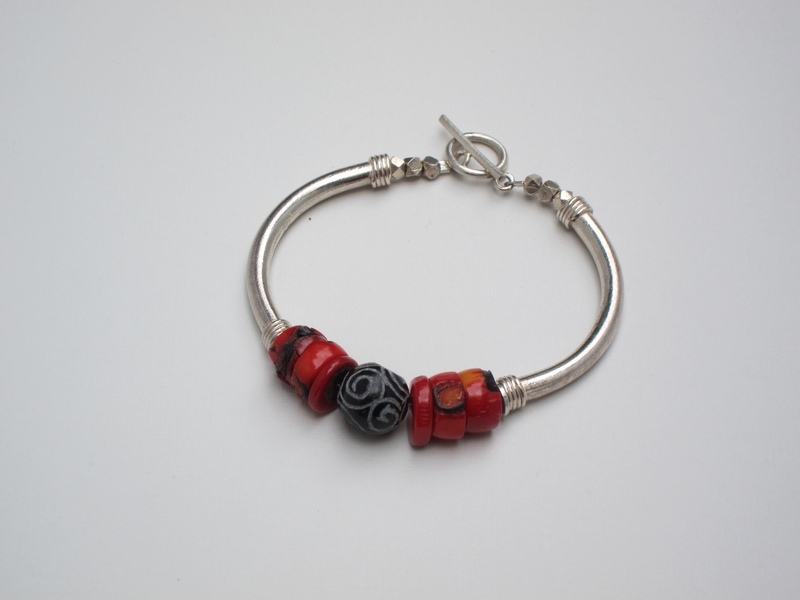 This Thai Hill-tribe silver bracelet encompasses flat, round coral and etched black stone. Sterling silver toggle clasp. Approx. 7 1/2″ L.
SKU: KD-B 55. Category: Bracelets. Tags: black stone, coral, handmade, thai hill tribe silver.